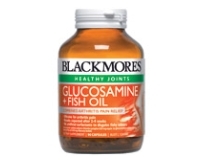 Blackmores Glucosamine + Fish Oil combines a clinically proven dose of glucosamine with high quality fish oil to provide effective and convenient arthritis pain relief. This formula may help to reduce joint inflammation and swelling, and relieve the pain caused by osteoarthritis. Glucosamine reduces cartilage wear, increases mobility and decreases joint stiffness. It can help to slow the progression of joint damage in osteoarthritis. Slows the progression of osteoarthritis. 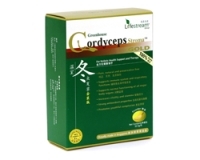 Helps to protect from deterioration of joint damage in osteoarthritis. Adults - Take 1 capsule 3 times a day with meals, or as professionally prescribed. This product is derived from crustacean shells. Not recommended for people with seafood allergies. Contains 150 mg sodium per daily dose. No added yeast, gluten, wheat, milk derivatives, preservatives, artificial colours, flavours or sweeteners. Contains sulfites.